Camp Fire Group Program has been operating since the beginning of our council’s foundation in 1919. For nearly 100 years, our caring adult leaders and staff have worked to building meaningful partnerships with youth to put our youth participants at the center of our programming. Camp Fire programs focus on providing youth with meaningful learning experiences, building peer relationships in a small group setting, connecting to the natural world, valuing people of diverse backgrounds and abilities, establishing healthy lifestyle habits, and being empowered with a sense of purpose and optimism for the future. Our core values include service to the community and leadership opportunities for youth of all ages. Youth will explore the outdoors, exercise their creativity, volunteer in their community and meet new friends all while having fun together! Group Program engages the entire family with fun and outcome based activities. 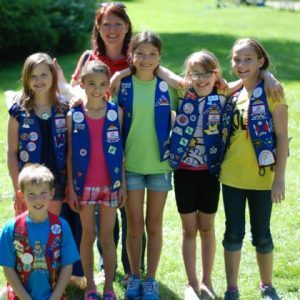 Groups encourage parent participation at every step, and there are often many opportunities throughout the year for your whole family to participate in an event, activity, camp out, and more. Every group is different, and while some groups may allow youth to be dropped off for meetings, all parents should expect to participate in events or meetings a few times throughout the year. Group Program is an enriching opportunity to engage with other families and your community while participating in fun activities! In Camp Fire, everyone is welcome. 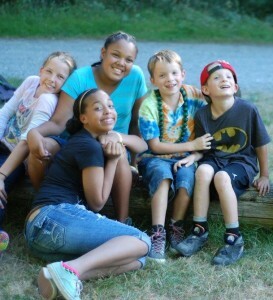 Camp Fire programs are open to youth of all backgrounds and abilities. We strive to create a safe and inclusive space for all youth so that they may explore their own identities, build important life skills, and feel supported by peers and adults. Learn more about our Commitment to Inclusion. We strive to provide our programs to as many families as possible, regardless of ability to pay. Learn more about Financial Assistance. Learn more about our program using the links above, and contact us to get started!